SALON’s 2016 EASTERN ONTARIO TOUR: THE TRIAL OF SIR JOHN A. 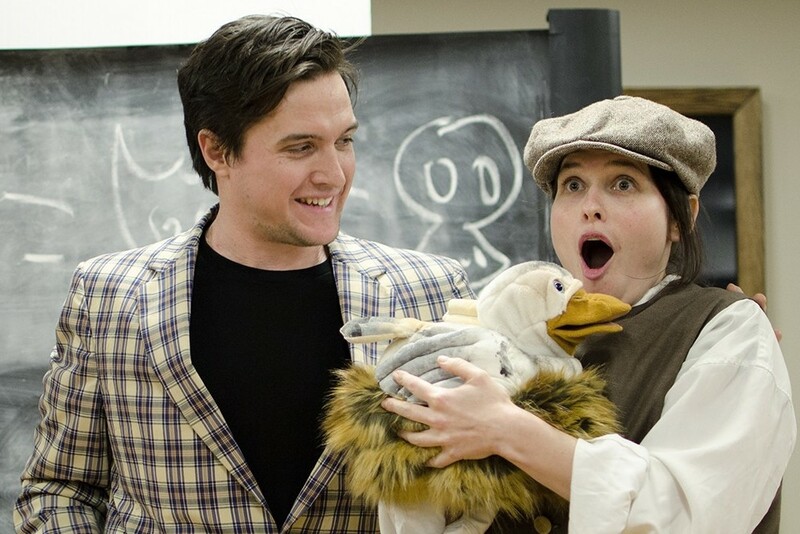 Following on the heels of a wildly successful national tour in 2015, SALON Theatre is offering our original, interactive performance and workshop package to schools in Eastern Ontario. 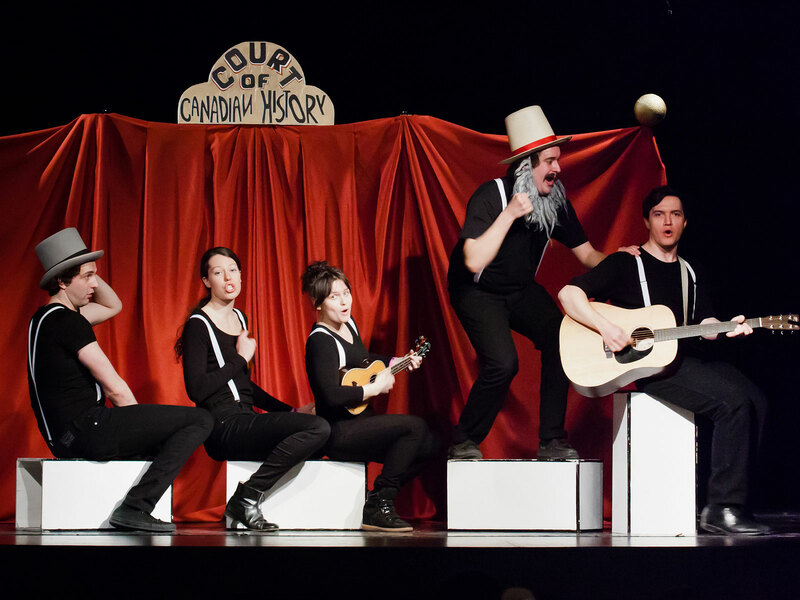 The Trial of Sir John A. is a fluid, flexible and portable production created and performed by the SALON Theatre’s talented and trained actor-musicians. In the show, our fictional John A. Macdonald faces the complex legacy of the CPR and the settling of the west. His “trial” offers multiple perspectives from which his actions can be judged. Students vote as jury whether to find Macdonald innocent or guilty. The interactivity with the student audience allows them to participate fully in the experience and consider their own relationship to Canada’s complex history. Despite some heavy themes, the show is presented in SALON’s distinct musical comedy style, focusing on engagement through entertainment. Filled with music, cheeky humour and moments of levity, audiences are given ample opportunity to enjoy a song and a dance while still contemplating their place within the rich tapestry of Canadian identity. Our flexible production style allows us to make modifications to the performance to address certain curricula connections in various communities. When can you come to our school? Our Eastern Ontario Tour will visit communities in January and early February of 2016. We have an itinerary which will allow us to visit the maximum number of schools in the area. We will be happy to work with you to find a mutual suitable time in the 6 week timeframe of our tour. What age groups is the performance suitable for? 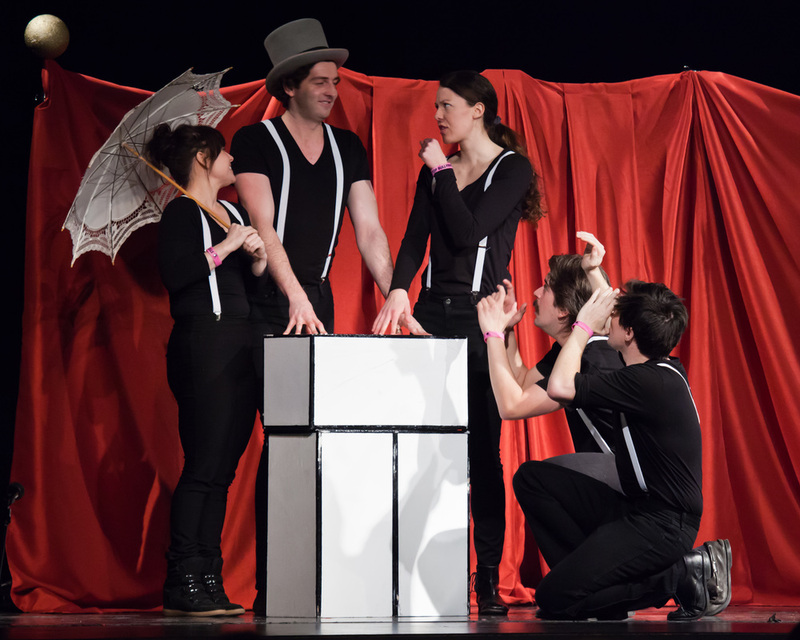 The show is a valuable experience for students of all ages. We use learning approaches from the Ontario Social Studies Curriculum to examine critical issues around Canadian Confederation. The SALON Acting Company is a group of highly skilled improvisational actors who tailor performances to the age and background of audiences. The performances include content mostly in English. This show includes some French content and a French-Canadian folk song that students might enjoy learning. Several members of our company are bilingual and can converse with groups in French. How large/small of an audience do you perform for? We will perform for groups as large 700 and as small as 30. If desired, we can perform to a large auditorium of students all at one time or in 2 or 3 groups the same day. Our mandate involves presentations to small schools in remote areas and we can therefore play to any size school in any area, depending on logistics and scheduling. What do you need for performance space? The Acting Company is fluid, flexible and portable. We can perform in a classroom, gymnasium, or theatre. Our performances are generally delivered “au naturel”. We feel the work carries a greater sense of authenticity when we avoid major technical intervention. That said, in larger venues we carry a sound system with wireless microphones which we can plug into school audio systems and we can make use of your auditorium lighting and sound systems when possible. Our show runs for approximately 55 minutes. 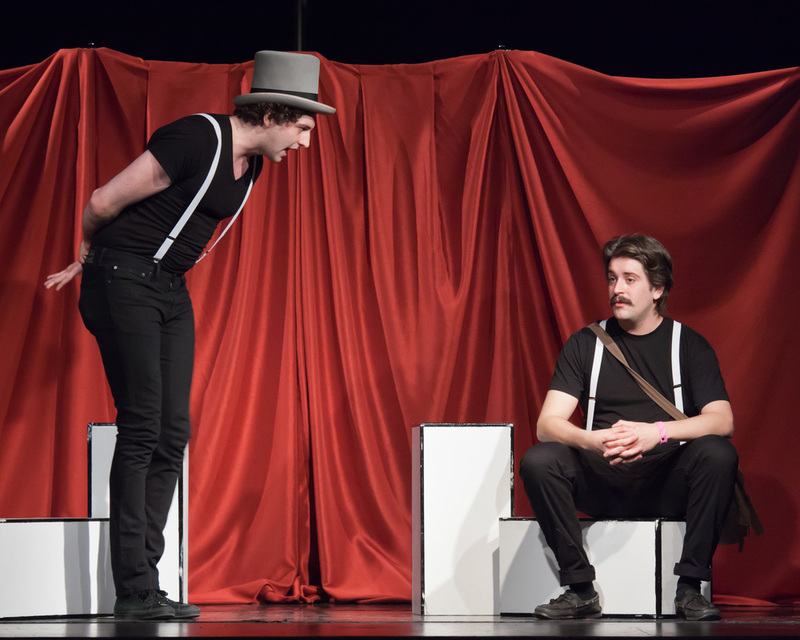 The actors conduct a Q & A session afterward for students which can be used to gain an enhanced understanding of the material or as a chance for students to find out more about the cast, or professional music and theatre in general. What is your workshop program? SALON is offering a unique value-added program during this tour. After a morning performance, we continue to spend the rest of the day with up to three different classes at your school. We will employ the first part of a 5 day unit plan and give teachers the individual lesson plans, classroom materials, and assessment tools to follow up. The projects will take the form of a creative interpretation of social studies curriculum, a theatrical vignette, a film production, or a digital media presentation. This process will work with the resources and cater to the needs of each classroom. The finished projects can be shared with other classrooms throughout Canada in our online education forum, the Macdonald Library.